Dozens of homeowners along the Peninsula may soon be asked to chop down their trees. 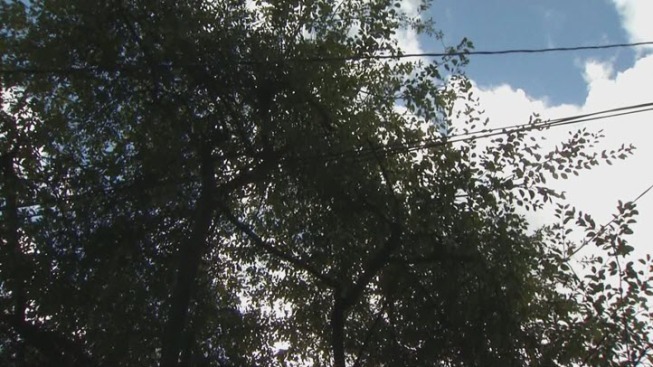 Pacific Gas and Electric said chopping down trees is necessary to clear the area above a transmission pipeline, but the City of Palo Alto is asking homeowners to wait for more information before cutting anything down. PG&E said it will pay for the trees to be removed and plant another one that is not directly over the pipeline. Smith said the program will allow quick personal access to the line during an emergency like an earthquake. "You need that access quickly and unobstructed in order to ensure that the emergency doesn't become much more serious much more quickly," PG&E spokesperson Jeff Smith said. Palo Alto city officials on Friday posted a letter on its website, urging homeowners to reject PG&E's tree-removal contract and wait for other options. "We would also like to discuss what potential alternatives there might be to tree removal," said Mike Sartor, Palo Alto's public works director. "Such as moving the pipeline or providing root barriers." Homeowner Cindy Campbell knew about the transmission pipeline in her backyard when she moved into Palo Alto 35 years ago. Campbell is hoping the alternatives the city is proposing will meet the safety needs and allow her to keep the tree. "I just want it safe," Campbell said. "That's all I ask, it's safe." PG&E met with Palo Alto city officials on Monday to discuss the plan. A community meetings is also being organized.